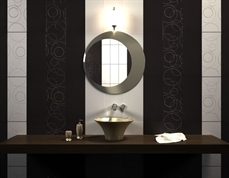 Ceramic bathroom tiles with different sizes and colors with a unique design that strikes our imagination from Kutahya Seramik. Kutahya Seramik brings in spacious and modern looks with its impressive looking products. © 2019 Rivagips BG Ltd	All rights reserved.